so. it has almost been a month. 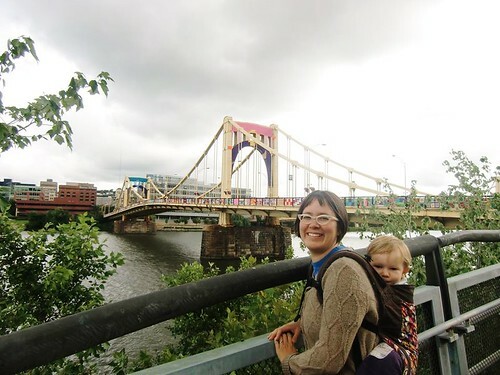 here are some photos from our adventure out to see knit the bridge. i’ll be back soon with some very good excuses for the absence… and a finished sweater. This entry was posted in community, cosyknitsliterally, knitting, the fam by cosymakes. Bookmark the permalink. 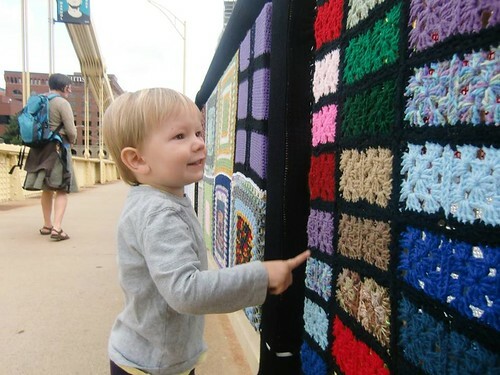 What happens to all this knitting and crocheting that is on the bridge? Do they put it together in afghan shapes, and donate to charity? They are donated to all sorts of charities. You can go check out their website if you want to know more.